Hello again and happy Friday! 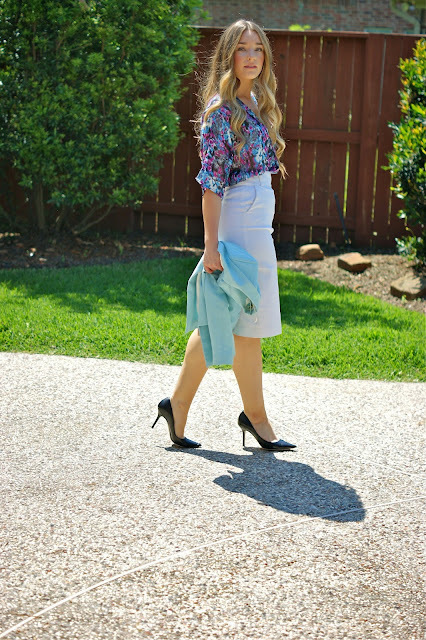 I have another spring inspired outfit for you today that is perfect for the office. 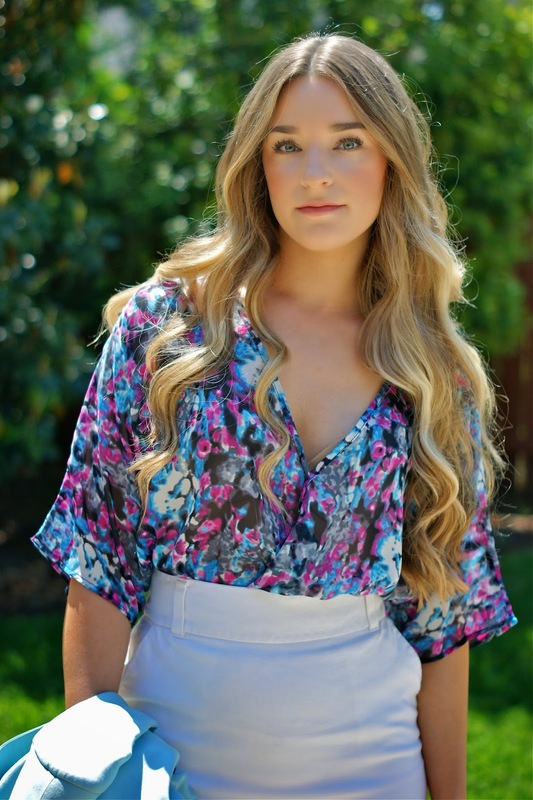 Today's look was inspired by this beautiful floral top from the sweet girls at Buddy Loves Clothing Label. I linked to their site below so you can check out all their fun, floral pieces. 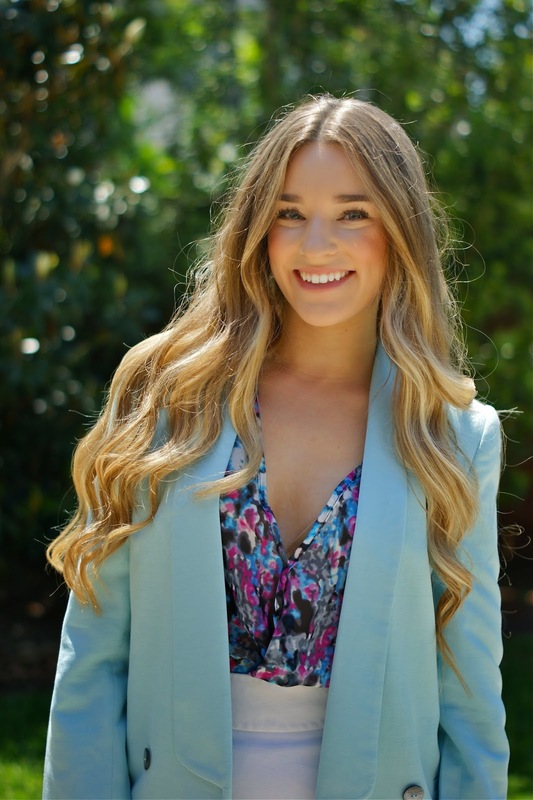 I was drawn to the various colors in the pattern of top and thought it paired perfectly with this robbin's egg blue linen blazer. This white pencil skirt has been in my wardrobe for years and I love wearing it as much as possible in the spring and summer, since it is pure white. It honestly goes with just about everything and is a huge staple in my wardrobe. 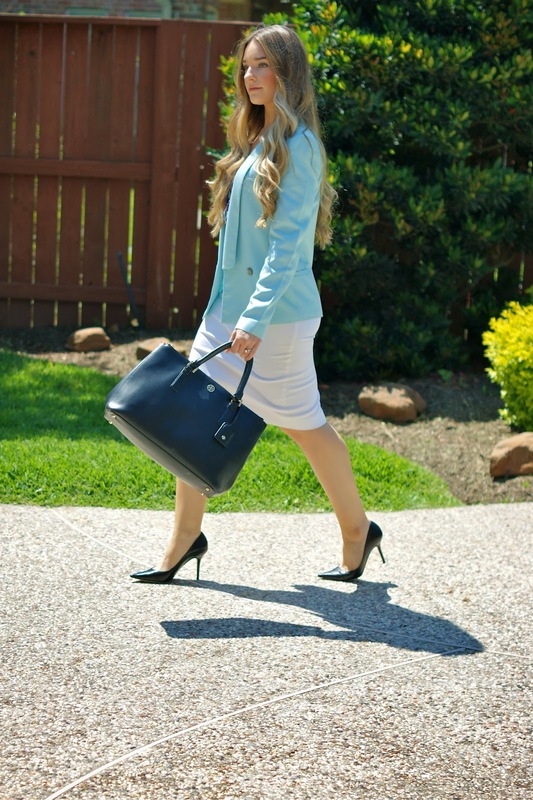 I wanted to add a darker color as well since this top has some deeper hues, so I opted for black pumps and a large black bag that can fit everything you need for the office. I hope you enjoy this weekday look and you all have a fabulous weekend!